Coffy Print & Copy delivers the best results, standing by their motto Quality, Quickly! 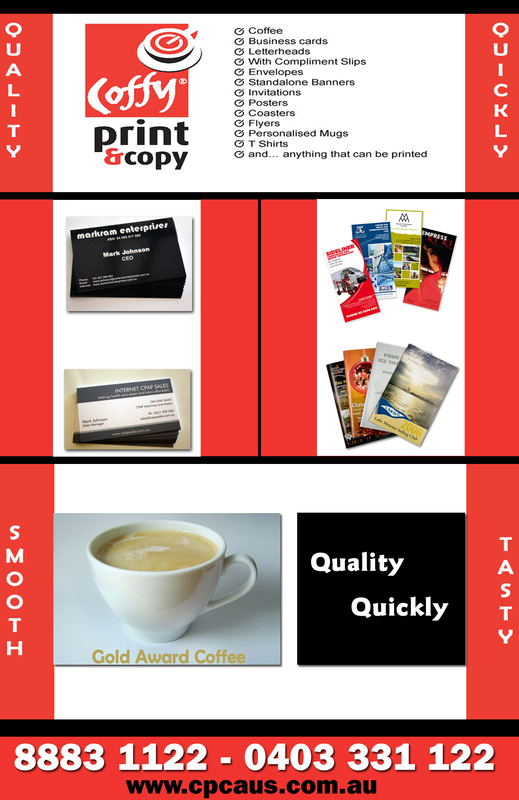 To meet the ‘A to Z’ needs of Coffy Print & Copy customers together with Gold Award winning coffee. Utilising the very latest Digital Print Technology, we can achieve super high quality results, amazingly fast. From double sided 300gsm cello glazed business cards to 80 page booklets, literally in minutes. With over 35 years experience in the Print and Copy Industry, Mark and Rabi know the Print & Copy business inside out. At Coffy Print & Copy. we have a strong desire to deliver excellent products and services. Whether it is a delicious cup of cappuccino or a wedding invitation, we deliver on our commitment for Quality, Quickly!